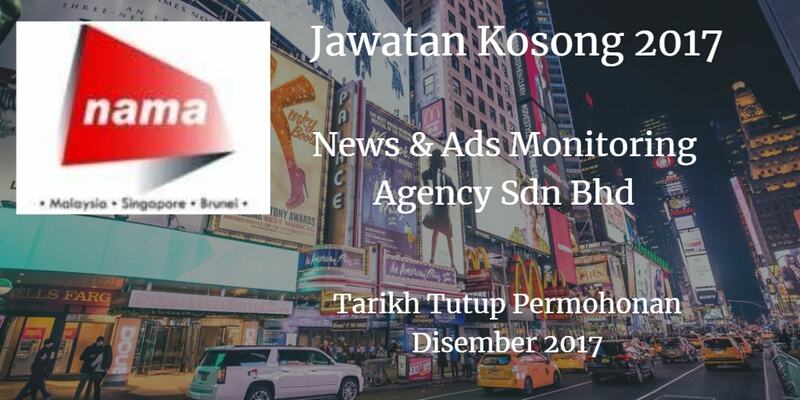 Syarikat News & Ads Monitoring Agency Sdn Bhd Johor Bahru membuka peluang pekerjaan News & Ads Monitoring Agency Sdn Bhd , terkini 2017 ,ini. Monitor and editing news, programs or talk shows from TV/Radio. Responsible forupload clippings onto provided specific portal. 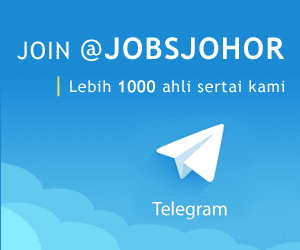 Candidate must possess at least SPM/STPM/Certificate/Diploma/Degree in any field. No working experience required as training will be provided. 5 working days per week, 2:30pm until 12.00am. Candidate must be willing to work at Bandar Baru Permas Jaya, Masai. Serious candidates can email your resume to hr@nama.com.my or call 03-79877975 for details.